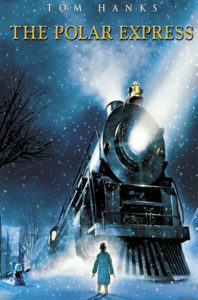 The Polar Express, a family holiday movie, will make a scheduled stop at the Falany Performing Arts Center at Reinhardt University on Dec. 9 with shows at 2 p.m. and 5 p.m. In the holiday classic, a doubting 8-year-old boy is whisked to the North Pole on a magical train for a visit with Santa. The train’s conductor, portrayed by Tom Hanks, along with the other young passengers, help turn the boy’s crisis in faith into a wondrous journey of self-discovery. After the movie, children will have the opportunity to participate in holiday arts and crafts while enjoying milk and cookies. The movie comes alive as children who have just seen Santa on the big screen can visit with him at the Falany Center. Tickets cost $10 for adults, $5 for seniors and children (12 and younger). Tickets can be purchased at Reinhardt.edu/fpac or by calling the box office at 770-720-9167.